Look for a button in your vehicle’s climate control center that looks like a ‘u-turn’ or horseshoe with an arrow. This button has two functions: to allow fresh air to enter through the vehicle’s climate control system, or to shut off outside air, allowing it to recirculate the vehicle’s ‘inside’ air.When the ‘recirculate’ button is off, you’re allowing fresh air to enter into the vehicle cabin. During hot summer months, this means your vehicle must ‘cool’ outside air as it is drawn into the cabin. Trying to reduce the temperature and humidity of 98 degrees can be much more work for your car than if you turn ‘on‘ the recirculate button because the passenger cabin will only get ‘so cold’. The most efficient method to cool off your vehicle’s interior is to turn the recirculate button ‘on’ which will allow your vehicle to ‘cool’ your recirculated cabin air over and over and over. The cabin air passes through the evaporator which looks and acts like a small radiator behind your dashboard. The air exiting the evaporator is much cooler and less humid from before it entered the evaporator. 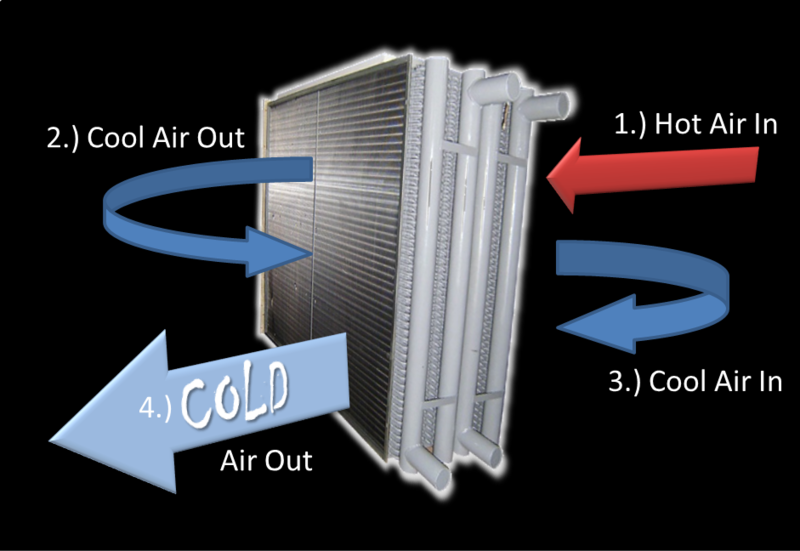 Continuously cooling the cabin’s recirculated air is much more efficient than trying to cool hot, humid, outside air. A cabin filter may be located in one of a few places: under the hood, above the blower outside of the air intake, or between the blower and rest of the HVAC case. (Contact our shop if you need help locating yours. )Cabin filters easily catch debris that can clog the flow of air, decreasing your car air conditioning efficiency. The filters catch leaves and other debris that could potentially end up in your vehicle’s HVAC ducts. Because of this debris and dust, any moisture setting on the filter could potentially create a ‘musty’ or foul smell inside your vehicle’s cabin. As the air flow is reduced, your vehicle’s air conditioning can’t pass air through the system fast enough to efficiently cool the air. Moisture can also build in your HVAC ducts and could create mold. If you need help locating your cabin air filters or the recirculating (MAX) button, contact us at Creech Import Repair and we’ll help you so you can enjoy your driving.